The best corporate event ideas should reinforce your company brand, boost customer and employee satisfaction and share your message with a growing audience. As you maintain, update and monitor your business’s Facebook page and follow other business pages you’ve seen the periodic Facebook Live videos in your daily stream. Wondering what Facebook Live is all about and how you can use it to help market your business event? Facebook Live can be a useful tool to promote your business. This is especially useful for sharing the amazing corporate event ideas you bring to life throughout the year. What is Facebook Live and How to Leverage at Events of Just for Fun? Facebook released their Live feature in August of 2015 for certain verified public figures and then to all verified Facebook pages in late December of 2015. Just as they do with all organic posts, Facebook controls the reach of Live broadcasts with their news feed ranking algorithm. Live was initially limited to iPhone users but is now available for Android users and is very easy to use. Live gives you an instant way to connect and interact with your customers, employees and Facebook followers to promote your business and creative corporate event ideas. 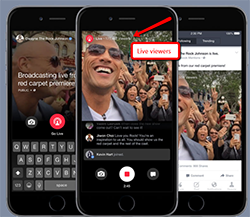 To broadcast with Facebook Live, you can use your business profile page or the Mentions app. Using Live is as easy as going into the update status area and clicking on the new Live icon. Using Live is as easy as going into the update status area and clicking on the new Live icon. Check out this helpful video from Website Candi on just how easy it is. Once you’ve clicked on Live, write a short description of your status update so your followers understand the purpose of the video. For corporate event ideas, you’ve made reality such as corporate picnics, family fun days or food truck festivals, sharing your Live posts with the public has the best chance of wide exposure. Once you tap the Go Live button, your phone camera activates and you can either aim it at yourself, outward or a combination of the two as the corporate events proceed. When you use the Mentions app for Live, you can’t select a certain audience as your Live posts are public for your business page. As you’re broadcasting from corporate event ideas you’ve developed into an actual event, you will be able to see a number of live viewers who are watching your video. If you’re searching for additional input for unique corporate event ideas, Live is a great way to access your customers and employees. You can see who reacts to and comments on your video in real time. This is an ideal time to invite viewers to Subscribe so they receive a notification when you use Live again. This real-time interaction with your customers and employees as your broadcast corporate events via Facebook Live makes you feel more approachable and genuine to your audience. At the conclusion of your broadcast, Facebook saves the video on your timeline for continued viewing. To make the most of Facebook Live, ensure that your broadcast has a purpose and a focus. You can invite the audience to give you new corporate event ideas, discuss the ideas you’ve implement in the past or share the process of bringing the event to life. Video: For fun let’s watch the Chewbacca Mom video that went viral. The audience will appreciate knowing what the broadcast is about ahead of time and this will improve your company’s reputation. Create an interesting, eye-catching title for your Live broadcast that will entice people to watch because that title is all they see when Facebook notifies them that you’re live. As you broadcast, make sure people can understand you and what’s going on by speaking clear, loud and close to the phone. Use an external microphone if necessary and try not to broadcast from an area with extensive background noise. Toggle back and forth between the front and rear-facing cameras and make sure to increase your speaking volume when the camera points away from you. Remember that you’re using Live to engage with your audience so acknowledge them by mentioning fans and responding to comments during and/or after the broadcast. 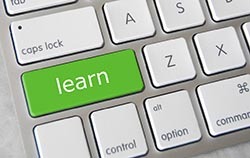 Learn from your first Live broadcast by paying attention to audience input. The recommended broadcast length for Live is 5 minutes, but you can adjust this as needed as you’re working on your corporate event ideas and implementation. Go Live at different times of the day to see when you receive the best audience numbers. Always end your Live broadcast with a call to action that directs your audience to a specific type of interaction. You can suggest that they visit your website, send a private message or comment on the video as ways to keep them engaged. When you use Facebook Live to design and implement corporate event ideas, you ensure that your events fit the preferences of customers and employees while positively promoting your brand.